The Boston-based tech firm Drizly launches its Web-based service in Portland, linking retailers with consumers on their doorsteps. Pizza, Chinese food … and booze? A Boston-based technology firm wants Portland residents to add beer, wine and liquor to the list of consumables they regularly order online for home delivery. The company, called Drizly, launched its Web- and app-based service in Portland on Thursday. Drizly is a Web developer and software company that partners with local retailers of alcoholic beverages in the U.S. and Canada to offer home delivery. Portland is the firm’s 20th market, said Drizly co-founder Justin Robinson. Robinson said it was “tricky” to come up with a way to sell adult beverages online without running afoul of state and federal liquor laws. Drizly’s solution is to provide the technology and let the local retailers complete the transactions in person. 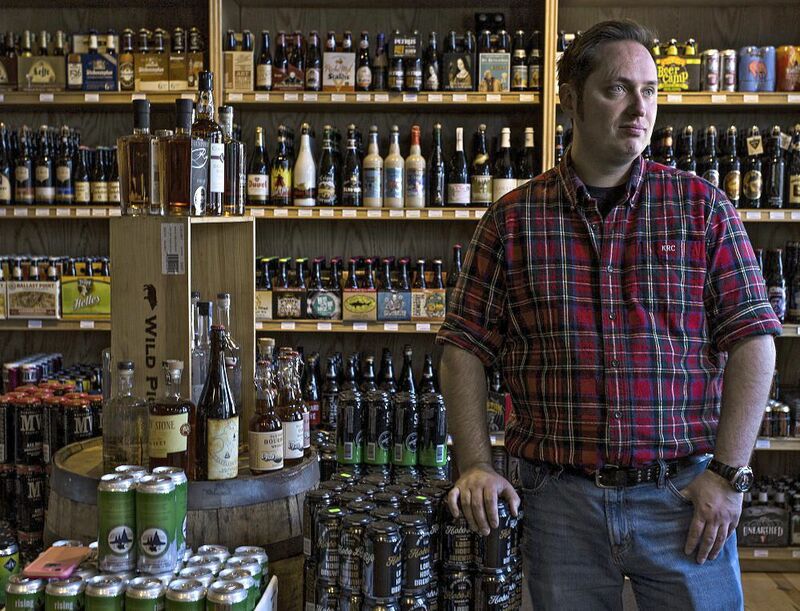 In Portland, Drizly has partnered with Old Port Spirits & Cigars at 79 Commercial St. Robinson hopes to sign similar agreements with other liquor, beer and wine stores in the area. Home delivery of alcoholic beverages isn’t entirely new to Portland. For example, Maine Beer & Beverage Co. inside the Public Market at Monument Square has been offering it for about a year, said store associate Jeremy Lota. However, Maine Beer’s delivery business is geared toward weddings, banquets and other large gatherings, he said. The retailer charges a $20 delivery fee – too high for most people making smaller purchases. Drizly requires a minimum purchase of $30 and adds a $5 delivery charge. It does not mark up the prices of the alcoholic beverages themselves. Its selection currently consists of all the beverages that Old Port Spirits has in its inventory – nearly 1,300 varieties of beer, wine and liquor as of Thursday afternoon. Old Port Spirits manager Kevin Casey said he discovered Drizly one day while browsing the Internet and contacted the company about becoming a delivery partner in Portland. Drizly, which was founded in 2013 and has raised nearly $18 million in venture capital funding, operates in several major cities, including Boston, New York, Chicago, Los Angeles, Dallas, Seattle, Baltimore and New Orleans. While Robinson said the company overall is growing “at the pace of (app-based car service) Uber,” Casey said it’s impossible to predict how popular the service will be in Portland. He has not yet hired additional employees to work as drivers, but said he will do so if the demand is there. 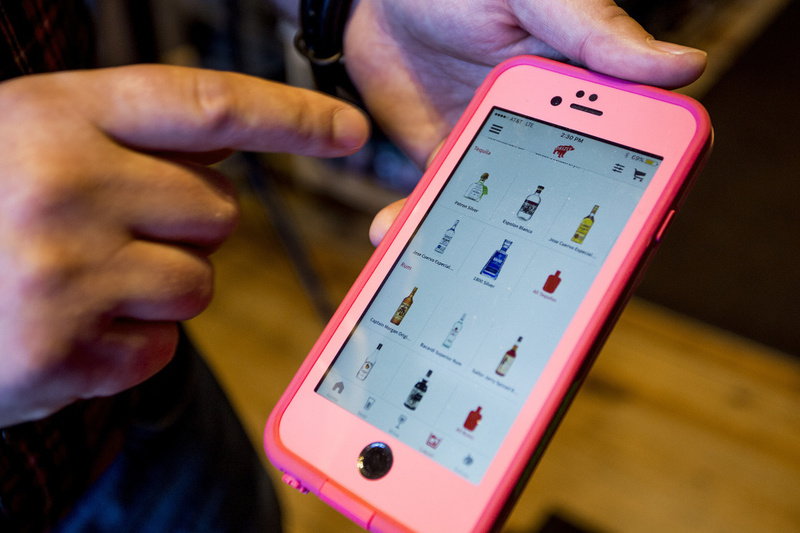 Operating on iPhone and Android devices, the Drizly app allows consumers to filter through and search a retailer’s stock, then buy alcohol for home delivery. Drivers use a companion app to verify sales in face-to-face transactions. Under the partnership agreement, Old Port Spirits pays a licensing fee to Drizly to use its website and apps for iPhone and Android devices. There are separate apps for both customers and delivery drivers. Consumers who download the free app or visit the Drizly.com website first enter their address and then are presented with a menu of available beverages if their location is within the company’s delivery area. In Portland, the area extends about 5 miles out from Old Port Spirits’ Commercial Street location, including parts of South Portland. The menu can be sorted and filtered in various ways, such as Belgian ales under $10 sorted from lowest to highest price, or Scotch whiskys over $100 sorted by popularity. Casey said the Drizly online menu alone will be useful to his customers, who can browse all of the items Old Port Spirits has in its inventory without leaving their homes. Every menu item is accompanied by a picture, description, price, and in some cases, customer ratings and reviews. Purchase transactions are made entirely online. Customers must first create an account and pay for purchases in advance with a credit or debit card. Upon delivery, the driver checks the customer’s photo ID and scans it with a separate driver app that Drizly developed. The name on the ID must match the name on the credit or debit card used to make the purchase, and the face must match the customer’s face. “We want to bring the same sort of values that we use here at the register … to the doorstep,” Casey said. Portland officials had no comment on whether they consider home alcohol delivery a good or bad thing, but Laurence Sanborn, division manager of liquor licensing and enforcement for the state Bureau of Alcoholic Beverages & Lottery Operations, said Drizly’s in-person ID check and beverage hand-off satisfies state law. Delivering the booze by mail – or drone – would not, Sanborn said. “The law requires face-to-face sales,” he said.